Do you know what your home insurance hurricane deductible is? Most top insurance companies have mandatory hurricane deductibles, which are percentage or dollar deductibles higher than for other causes of loss. They are often calculated as a percentage of the dollar amount of your dwelling coverage and come into effect after a specified storm event (“the trigger”). Deductibles vary depending on your carrier, the type of storm (“trigger”), and location of your home. In New York State, for example, a deductible for a home within 1,000 feet of the South Shore on Long Island may be different than for a home within 2,500 feet of the North Shore. Many triggers only go into effect when the National Weather Service issues a hurricane watch or warning that remains in effect for 24 to 48 hours after the storm has passed. 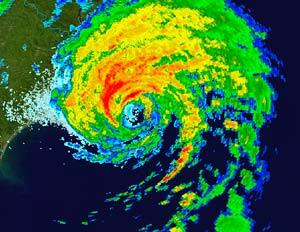 Triggers are also affected by hurricane intensity, which is classified on a scale from 1 to 5. If a policy has mandatory deductibles, then the insurance company will not sell homeowners coverage without a hurricane deductible. When the deductible is optional, you can choose a lower deductible in exchange for a higher premium (a “buyback”) or a higher deductible for a lower premium (a premium credit). If you’re a homeowner in New York State, you can find hurricane deductibles by company at the New York State Department of Insurance website. Check out the “Windstorm Deductibles” link at the bottom. Knowing all of your policy information is an important part of making sure you recover completely in case of a disastrous loss. Don’t be left unprepared! If you have any questions about your property insurance or hurricane deductibles, be sure to give us a call at (516) 484-5200 today, or email me at patti@ccpinsurance.com.